Alas, my technical difficulties continue. I still refuse to use the iOS apps as they're not practical, I've lost numerous drafts and wasted loads of time trying to get it to work, but it suspect it might be me that's the problem, rather than the software. I will, however, make an exception for today. For today marks the 100th birthday of the Trent Motor Traction Comoany, known today as Trent Barton (or perhaps trentbarton). There's been a day of celebration across Trent Barton land today, with vintage buses running on the original two routes, i4 and Swift. Many customers also found envelopes containing £100 as they traveled. Trent Barton are a very different company now to what they were 100 years ago. What has t changed is that they're still independent, owned by a group of local families. Unlike many of other companies, they have not succumbed to the larger groups and they maintain a local, and in many ways personal focus. They pride themselves on being the really good bus company, which is a particularly bold statement. It is, however, one that the majority agree with, according to a poll. They put customers (not passengers) at the forefront of what they do, and the result is a product which is one of the best in the country. So, here's to another 100 years. I hope the company has a positive future, one where customers are the priority and one where quality is at the heart of what is delivered. Who knew what the founders envisenged for what the company would be like 100 years down the line, but I don't doubt that they'd be happy with what there is. Sorry there haven't been any updates for a while folks. I've had a post lined up and ready for a while now, but blogger is refusing to work properly on my computer. It's working fine on my phone (hence my ability to make this post) but the formatting is prohibitively complicated on this platform. Hopefully the issue will be soon resolved and full service shall be resumed! We are, aren't we? It's the small things in life that please us, it's the simple things that make something so much better. Whilst branded by some as nothing more than 'gimmicks', small touches made by bus companies to either improve a particular service or indeed their own image can make a huge difference. It's something that the award winning companies use incredibly successfully; the introduction of free wifi, a money back guarantee, live bus times. All things that make the journey better for the customer, all things that inform their decision as to whether they travel with the company again (if they're fortunate to have another choice). So if we can be so easily swayed by the small things, it goes to show that a large proportion of customers can be persuaded to either use or not use a company by practically anything, or indeed anyone. Last year, in York, First suffered terribly after the University's Student Union discouraged students from using their '4' service. There was also a lot of uproar about their decision to not serve the Heslington East campus. They became "public enemy number 1" and the loadings were poor. Fast forward 12 months, and they're again serving the Eastern campus. 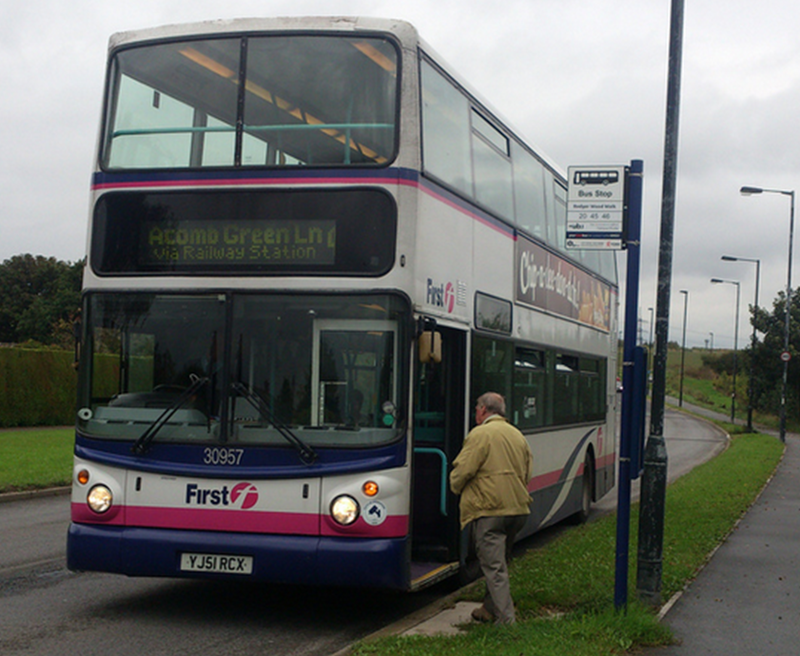 There's less discouragement and people are once again using the service, with double deckers now being a common sight. The whole image of First was significantly damaged, because of the word of others and general dissatisfaction at their decision. The result of the damage to the image was damage to one of the company's key routes. This concept also works both ways, Whilst decisions can lead to uproar and unhappiness from customers, noticeable gestures are likely to win some favour from both customers and potential customers. And once such favour and custom is earned, it can be easy to retain. That appears to be the motive behind Yourbus' latest venture. This week is the Ilkeston fair, taking place in the town centre. 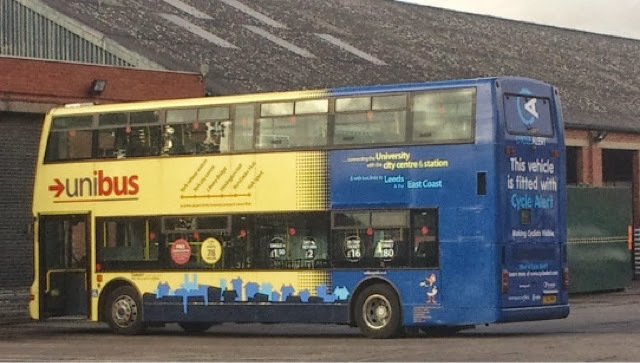 Yourbus are running a half-hourly shuttle between the town centre and Cotmanhay, the previously Trent Barton dominated estate which now forms the terminus of the Y3 service. The service is entirely free, uses one bus and runs from 6:30 to 10:30 in the evening. This is a simple yet potentially clever move by Yourbus. 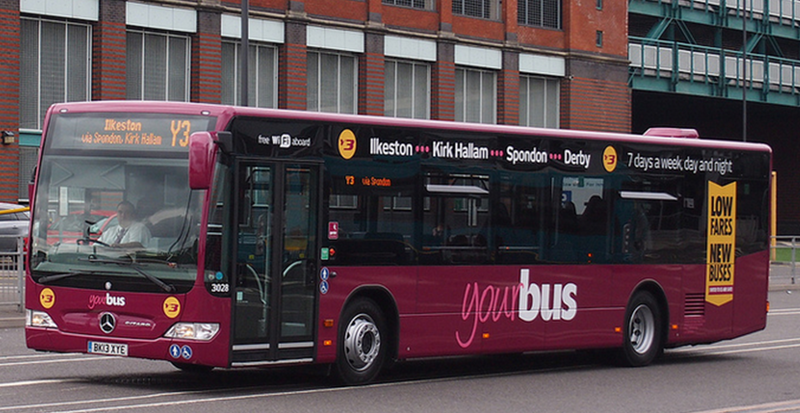 It is a gesture that will be remembered, and it also gets people to try a member of Yourbus' fleet. These are buses that don't exactly live up to the stereotypes of old, tried and dirty buses, instead, the vast majority of the fleet is less than a year old. No doubt leaflets will be strategically placed inside the bus too to ensure people are aware of the Y3 service (and indeed other services in the area). Having tried the service for free, they may be more inclined to pay for the same route in the future (the Y3 vies for trade with Trent Barton's "The Two" on the way into town) or indeed even further, into Derby. Back in York again, a new scheme is being tested. Bikes are very popular in the city, with the 2011 census showing that a very high number of people cycle into work. There's also two universitys so lots of students. Plenty of them cycle to their studies adding to the numbers pedalling away on a daily basis. Cycle lanes are just as, if not more common that bus lanes, but a lot of streets in this ancient city are narrow and as such passing them can be difficult. Admittedly cyclists often put themselves in danger, but no doubt being overtaken in narrow streets by large vehicles is a scary experience. Now, thanks to a partnership between Transdev and the University, a new service called cycle track is to be launched. 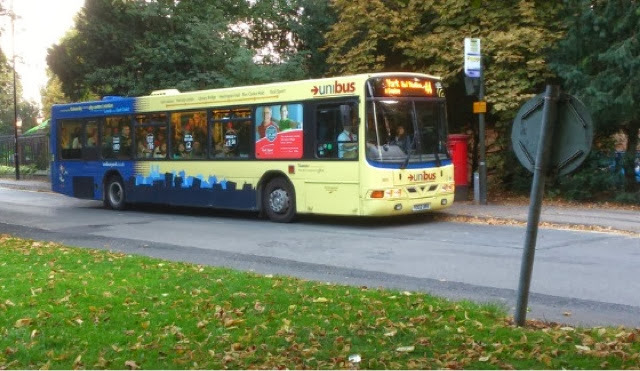 All 9 of the 44 Unibus fleet is to be fitted with the equipment, and bikes can be fitted for £10, though students can get a subsidised package for £5. 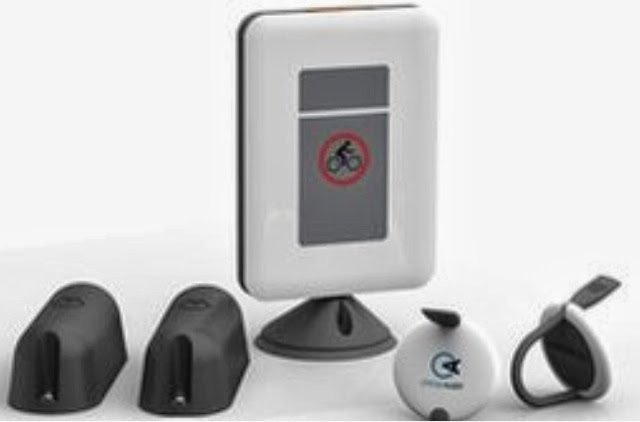 The technology works by alerting bus drivers to the presence, then location of bikes around them. As a bus approaches a bike, a warning appears in the drivers cab. Then, whilst the bus overtakes the bike, sensors show the bike's position on a screen. It means that the driver can be certain that they have passed the bike before pulling in, the remove the risk of them colliding with the bike. This is very much a positive thing for cyclists and everyone really. As I mentioned in yesterday's post, York is a city where bus and cycle use is very much encouraged, whilst those in cars have a hard time (speaking from experience!). As and when my bike finally makes the trip north toYork, I will for certain be investing in the cycle alert system. Nottingham and York are two cities without an awful lot in common. Certainly they both have a significant historical context, but in a number of fields, size in particular, they are miles apart. One thing they do have in common is that they are both look at in this blog, so when, recently, the two were included in the same Government press release, I realised it would be foolish to not write about it. It must have been a success, after the pilot period, four more cities are due to gain the status. In addition to the West of England (Bath and Bristol) and the Merseyside area, York and Nottingham are set to benefit. Whilst York will receive £1.3 million in funding, Nottingham will receive a whopping £11.3 million over the next four years. Local Transport Minister Baroness Kramer has said that the scheme is “designed to drive up performance and passenger numbers.” With that goal in mind, York and Nottingham seem like two ideal cities. 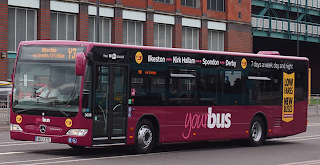 Nottingham is regularly voted as the least car dependant provincial city in the UK, a credit to its transport system, whilst York is a city full of bus priority measures and no less than 5 park and ride sites, with several more planned. These are cities where the local authorities realise the importance of buses in reducing traffic and therefore pollution and encouragement to use the bus services can only be a good thing. Investment in bus priority schemes and passenger waiting areas will only improve bus users’ experience which will only drive up passenger numbers. A win-win all round. One city absent from the list is Derby. That is, in my personal opinion, a city ran by an anti-bus council. The removal of key bus lanes into the city and a bus station seemingly built with lease-able leisure and retail space as a priority over a properly sized interchange is testament to this. There are bus priority measures Derby, don’t get me wrong, but the removal of any measures is very much a backwards step, and I watch on in Horror as Liverpool’s Mayor proposes the removal of all of their bus lanes. Hopefully Derby can closely monitor the effect of Nottingham’s Better Bus Area status and will hopefully bid for the status in the years to come. In its simplest form, the aim of the project is in the name; “better buses.” Given the money available for the project, it is certainly something that has the capability to work very well in both cities. These are two cities that trust their bus networks and the companies that provide them, as well as other organisations, both academic and industrial, that support services operating close to them. They are two examples of cities where public transport works well and efficiently and hopefully, with the help of the scheme, they can be cities that set an example to those not only across the country, but also across the world. The two Nottingham photos are courtesy of Matt Burley, whose photostream can be seen here. 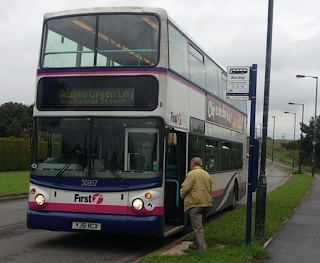 The photo of York's Park and Ride buses was courtesy of Chris Nelson's photostream which can be found here. The full press release regarding the Better Bus Areas can be seen here. Dogs onboard public transport is a common experience. Cost to transport them varies, with some operators charging discounted rates, others not charging. Often, from experience, drivers don't charge for them, even if their management instructs them to do so. But should they be allowed? It's very difficult to set blanket rules, the term 'dog' ranges from a Jack Russell to a Staffordshire Bull Terrier, clearly there's a big difference in terms of size and danger to others. Whilst a dog may not be threatening in nature, the presence of some larger dogs may intimidate some passengers, particularly the young and very vulnerable. After all, we are not all 'dog people,' some people are terrified by their very existence. Despite not owning one, and never being in a family that has owned one, I would consider myself a ‘dog person’, I think they’re great. But that’s the dogs that I know. Dogs belonging to friends and family who I have come to know are safe and friendly. Therefore, I feel uncomfortable when strangers board a bus I know with a dog in tow. As well as the potential for the dog being dangerous (albeit unlikely), there’s also the possibility that the dog might be smelly or might not have the same bladder control as the fellow passengers. Not to mention the irritation of a barking dog in a confined space (though the same could be said for young babies). I personally think that it makes for a less enjoyable journey. The flipside is of course that dogs do often need to go to places, the vets, for example, not accessible by foot. And of course plenty of bus passengers do not have access to cars. Preventing the dogs from taking the bus could lead to welfare issues and that’s something that no one wants. So, yes, dogs taking the bus probably has to stay. I agree with that much. Sadly, I can’t agree with their carriage being encouraged. And that seems to be exactly what Trent Barton have attempted to do. 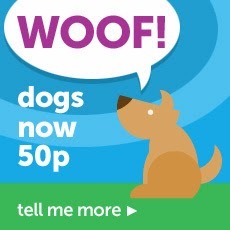 Previously, dogs have been charged at the half fare, but as of Sunday, they will now be charged at 50p, regardless of journey length. Buses are for carrying people, and it should be the customer that comes first, something that Trent Barton always seems to pioneer. This move does seem to go against this. Perhaps it is due to so many drivers not charging at all, and they’re hoping this promotion will reclaim earnings lost that way. Hopefully this move won’t result in a large increase in the number of dogs being carried, which, I believe, will worsen the experience for those passengers paying considerably more than 50p for their journey. Another day of being needed to campus and another attempt st catching the SB1. This time, my experience was far better! A '55' plate Coastliner branded Wrightbus Gemini, with a very smart interior (these were always a treat when they appeared on the 44) with a friendly driver and another member of the unibus team explaining the timetable, route and ticket options for not only the SB1 but also other services linking the university. You may recall that the first post on this blog was a review of a new route; Trent Barton’s ‘Zoom’. Having returned to York, and with a new service having started at the bottom of my term-time road, now seemed like a good opportunity to review that too. Plus, this week is the University’s fresher’s week, and as a second year helping them to settle in, I get a free bus pass. Even better. The service I refer to is Transdev’s SB1. This service links both of the University’s campuses with Hull Road and the Foss Islands retail park every half hour. I can only presume that the service is partly funded by the university, certainly those living in ‘The Boulevard’ have been given free bus passes by the University to compensate for the position they’ve been put in so there is an element of funding there. With a million and one things to think about, after a busy day I arrived home and realised that I had forgotten to visit my department. So, I decided to head for the SB1. After a lot of waiting and ringing Transdev York’s office several times (without any answer) I decided to give up and walk. Not a great first impression at all! I’d love to say I had more luck on the journey home but this was not to be. Having picked up a timetable for the 44, which includes the SB1 timetable, it read that a bus was due to leave the stop closest to me at 15:32, ten minutes time. I arrived at the stop and saw a Transdev Harrogate (bit lost?) branded Plaxton President with the display reading “private charter” with “SB1” written on a piece of A4 on the window- not much use for a new service! From what I could tell the bus was neatly presented, it had clearly been reupholstered more recently than its sisters on the 44 and didn’t look like a 13 year old bus. Sadly, I didn’t get a much closer look. The driver could clearly see me waiting for the service but didn’t let me on and as the departure time approached I tried Transdev’s office again. This time, thankfully, they did pick me up, only to tell me that there was a typo on the timetable (which will have been handed out to thousands of students over the past few days) and that there was a gap in the service and as such there was no service at 15:32. So, not a very flattering review of this service at all. Whilst, granted, having not been able to travel on it, I cannot fully evaluate it; it does seem to have a number of serious flaws. Hopefully Transdev will be able to improve this service in the future, as if it is reliable then it would be a very useful service for me. Here’s hoping for some real improvement on the SB1.